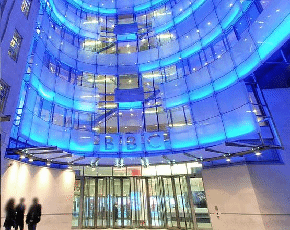 The BBC has laid out its plans to tackle the tech skills shortage through partnerships with businesses, government and educators. Aiming to encourage more children to code, the company will reveal details of its partnerships over the coming months and expects to start making a difference from 2015. The broadcaster will focus on digital technology and computer coding, including apps, websites, games, computer code, robotics and digital art. “The BBC has played a hugely important role inspiring a generation of digital and technology leaders in the past, but now it’s time to reignite that creativity," said Ralph Rivera, director of future media at the BBC. “Digital skills are absolutely fundamental in the modern world, and we’re in a unique position to help people develop them and provide a safe online playground to try them out. We want to transform the nation’s ability and attitude towards coding, and bring together different organisations already working in this area,” he said. Danny Cohen, director of BBC Television, said: “This is an exciting opportunity for the BBC to use its world-class TV, radio and online services to inspire the next generation to get creative, digitally. The new computing national curriculum is set to come into force from 2014.